The MediaPreserve scanned several films featured in this documentary. 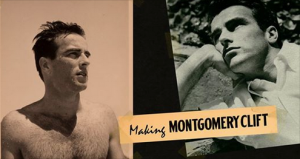 Classic film star and queer icon Montgomery Clift’s legacy has long been a story of tragedy and self-destruction. But when his nephew dives into the family archives, a much more complicated picture emerges. Congratulations to Doug Sheer on his retirement from Artists Talk on Art. 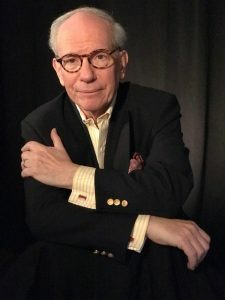 Congratulations to Doug Sheer, Co-founder and Chairman of the Board of Directors of Artists Talk on Art on his retirement after 45 years. It was a pleasure working with Doug and the Archives of American Art to digitize portions of their amazing collection which consists of over 850 audio and video recordings. The collection has since been donated to the Archives of American Art of the Smithsonian Institution in Washington, D.C. Despite advances in scanning technology, sufficiently brittle or warped motion picture films still yield unacceptable scans or preclude scanning at all. 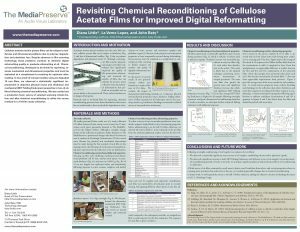 MediaPreserve staff presented research on chemical reconditioning, a process first developed to enable traditional reprinting of degraded films, to compliment scanning in optimum preservation reformatting. 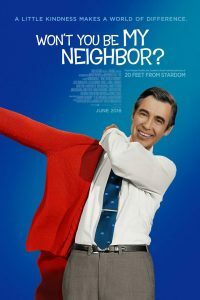 The poster was presented at AMIA 2018 (the Association of Moving Image Archivists) November 28–December 1 in Portland, Oregon. 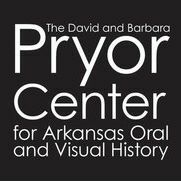 We’re in the basement of the former bank building on the Fayetteville square that now serves as the home of the David and Barbara Pryor Center for Arkansas Oral and Visual History. There are boxes scattered about–lots of them. Those boxes are being filled with film canisters that will be shipped to a Pennsylvania company known as The Media Preserve, which has been in the audiovisual preservation business since 2007. The company has digitized materials for hundreds of institutions. Now it’s going to digitize more than 550,000 feet of film that was stored at KATV’s building in downtown Little Rock. 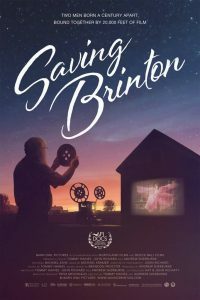 The MediaPreserve was involved in digitizing the legacy film, audio, and video footage included in this documentary. The MediaPreserve digitized all historic film footage used to make this documentary.